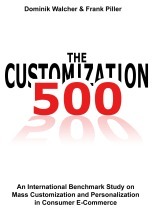 The $1 Million Zazzle Innovation Challenge: What is your great idea for the next in mass customization? Zazzle, a leading platform for quality custom products, is hosting their first "One Million-Dollar Innovation Challenge" to launch the development of the next, most innovative customization product or company. This can be an idea for a new consumer product, but also one for an innovative service, health, business to business or whatever offering ... Feel free to bring mass customization to a new level! 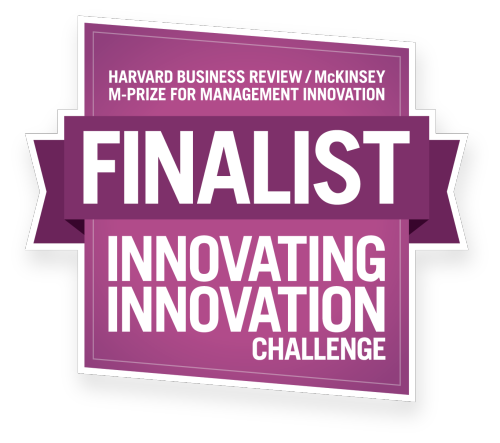 The Million-Dollar Innovation Challenge and prize is open to any person or company with an idea for a customizable product. Applicants must create a one-minute video, describing their product and explaining why their innovative concept is special and will contribute to the growing movement of mass customization. Applicants will be judged on innovation and economic viability. The winner will gain access to Zazzle's world-class engineering team, which will support the winning project with software development, exclusive proprietary design tools and 3-D product visualization technologies. Additionally, Zazzle will fund the project with resources to develop a global product-marketing plan and launch the product to a worldwide audience of tens of millions of potential consumers. The winner will also receive mentorship from a veteran panel of potential investors and industry leaders, in addition to introductions to Zazzle's many brands and partners. Zazzle will announce five semi-finalists on February 24, 2012. Academic experts, industry executives and active investors will help refine the concepts and plans for final evaluation and judge the presentations. For more information, including objectives, application, rules and prize details, visit www.Zazzle.com/challenge. Ryan Chin and Daniel Smithwick of the MIT Media Lab, are studying product life-cycle energy use of customized dress shirts to understand how to develop more sustainable products. Please complete their 6-8 minute survey (https://www.surveymonkey.com/s/MCPC2011) on your current dress shirt wardrobe and you'll be entered into a lottery for a FREE custom men's dress shirt worth $100 retail value. Pretty fancy stuff. Survey and prizes are open to both men and women! Mass Customized Art -- Can Art be Co-Created? A long time ago, I wrote about some artists that have applied the ideas of mass customization and personalization for their works. Now, a much larger initiative has started. Called A.R.T. (for "Art-ReThought"), Donald Rattner, an artist turned architect, has created a new online shop for customizable modular art. He also recently launched a sophisticated new blog on modular design and architecture. "Is art still art if the artist’s hand never touched it?" This somehow is the key question Rattner's site asks, and while he definitely has answered it with "Yes", I am not so sure if his offerings really meet the definition of "art" for many people who may call this more "decoration". But the lines are blurring. And in any case, Rattner perfectly illustrates how digital innovations in manufacturing are impacting art and design. Mass customization, co-creation, modular design, production on demand, digital design, robotics, and other computer-driven technologies are changing the way things are made (and as a result, the way art is thought about). Rattner calls this mixture “The New Industrialism". "As with so many things in our lives, a lot of the historical attitudes toward the creative disciplines are falling away under the influence of modern technology. For instance, today people are demanding more involvement in the creative experience, whether it’s collaborating in the design of their own clothes or specifying a new computer for purchase. Eventually we’ll see that sensibility infiltrate the art world, which until now has reserved the right to creation to the artist alone." Rattner recently is quoted in a press release. There is a great illustration of the "new" and the "old" art in the catalogue for his customizable items (download). In his online shop (with a small configurator), he is selling Wall Art, a hanging modular wall sculpture system that comes in square, reticular and rhombus modules and Shelf Art, a simple, expensive but wonderful personalization option for home libraries (I love those!). Nice, fredh idea -- and a further sign of the broad appeal of mass customization. All previous posts on "Art Customization"
An exhibition at Appel Design Gallery, Berlin 1-22 Nov. 2008 -- and an invitation to download all design and place it on your local CNC machine. Now we have Ponoko, eMachineshop, JuJups, Shapedays, etc to produce what ever come to our mind in an easy way. But still, at least I don't have every day a nice idea for a great coffee table in my mind. "Open Design products flow with an essential cultural wave: towards freer information, Web-based collaborations and open-source methods. In Open Design anyone can download and produce my designs for free. Open Designs encourage modification, redistribution, and direct contact with the designer. I would only ask producers to share with me revenues from commercial uses. This means that with no tooling investment, you can produce Open Design products independently." All object rely on a very clever 2D digital start point, which makes them easy to alter into new shapes and uses, and they are flat packed. “Hard copies” of the designs can be ordered from any CNC cutting facility that’s local to you, your consumers, or distributors. Ronen's idea is that designs that typically live only a few years in the marketplace can live on and develop. Still, at the same time, Ronen needs to earn some money. Generating fame and buzz and getting his name out is one of the intentions of the Open Design project. But he also produces some of his collections in high quality and exhibits (and sells) them in an annual exhibition at a Gallery in Berlin. "This Open Design collection of lighting and furniture limited editions is playing a double role. As gallery pieces, they express my personal style: simple, effortless and humorous. But they also relate to wider cultural issues and offer a designer an alternative course to consumer products, especially relevant in economically troubled times. There is a feeling about Open Design I would like to convey. Making products this way is, for me, mind clearing and fun. You can feel as good about the Open Design production process, its low environmental footprint, and what it stands for, as you do about the objects themselves." When I saw these pictures, I was fascinated immediately ... Martin Konrad Gloeckle, an Industrial Designer currently based in New York City, created some wonderful designs that are one of the best interpretations of the customization trend I ever saw. His designs are part of a study where he discusses the customization trend from the perspective of industrial design. Born and raised in Germany, Martin relocated to the US in 1996, and recently finished his Master’s Degree in Industrial Design at the Pratt Institute in New York. Martin has additional degrees in Computer Science and Business Administration, and before returning to school had a successful career working for leading web and interactive advertising agencies both in Germany and the US. Martin’s design work has been featured in exhibitions, design blogs and magazines including New York Magazine, his award-winning Bendino lamp is currently produced and distributed in Europe. Martin is the author of "Un-Readymades: From object to experience" – a study of mass customization from the perspective of industrial design. In this work, Martin has analyzed how consumers are moving away from being passive consumers to actively influencing and shaping their world. Parallel to this, consumers are increasingly looking for improved experiences, involvement, and personal expression. In return, user-generated content or the Do-It-Yourself movement are booming. But how should product design react on this? Martin finds that up to today, most designers have not reacted on this trend and still are just focusing on providing ready-made, fixed and stable products. He also finds that conventional mass customization systems still do not provide a full user experience or often require advanced knowledge or tools. In his study, he explores the next levels in this field. Based on research and design explorations, it proposes a framework for product design that engages the user and allows for deeper experience and involvement. It provokes a rethinking of the products we use and interact with on a daily basis, and presents several designs based on this. In a recent interview, we spoke about his work and how he developed his design. Martin, what is the key element of the design framework you propose to engage consumers deeper into experiences? Well, the proposed framework actually has six major principles. However, these are based on two key points: A) Create design opportunities for the user, and B) Use a low-tech approach. Let me start with the first point: What we can observe today in the online or two-dimensional world are increasingly active, involved, and creative consumers. This includes things like the so-called ‘user generated content’ of blogs, YouTube, Wikipedia and so on, as well as the whole field of desktop publishing, desktop video, desktop music etc. However, when it comes to the world of three-dimensional products, there is very little happening at this point. There are simply very limited opportunities available to the consumer. The series of products I created tries to address this. Called ‘Un-readymades’ to express the involvement of the end-users, they provide consumers with opportunities to design, create, and express themselves. Of course, there are other developments related to this trend. Things like the many online customization tools, the fabber and prototyping tools, and the increasingly available D.I.Y. services like Ponoko or Buglags to name a few. These however generally are very technology driven. And this is where the second point comes in. Technology has opened many areas to the average consumer. But at the same time there still often is the need for certain knowledge and tools, be it of hard- or software. Therefore, this is not accessible to everyone. 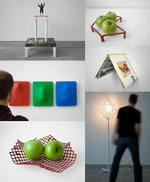 In addition, the user is physically removed from these products during the design process. Rarely is there any direct interaction between the product and consumer. By using a rather low-tech approach, I am trying to address some of these issues. Browsing over your web site, I was fascinated by the originality of your designs that incorporate your ideas. Can you illustrate your framework with one of your own designs? One of my goals was to create a multitude of designs, to explore different areas and address different users as well as to show the flexibility of the framework. To pick one piece out, the ‘drawn’ vase is probably a good example. It is essentially a combination of a dry-erase board with an opening for a flower and a water container mounted behind it. You can use it on the wall or on the table. What the dry-erase board does is to allow the user to redesign its surface and thereby the vase. Enable user involvement: The vase is somewhere between an off-the-shelf product and a D.I.Y. project. While it provides the users with a starting point in form of the vase functionality, it allows them add to this. Make it interactive: By drawing on the dry-erase board, the user directly and physically interacts with the vase, and thereby develops a closer relationship with it. Provide room for play: While the vase offers a starting point in terms of functionaly, it otherwise literally provides an empty canvas. Not everything is predetermined, but is left open for playful exploration. Watching people creating all different kinds of designs with this was definitely one of the highlights of this project for me. Keep it simple: I wanted these pieces to be approachable for everyone, meaning not requiring any extensive tools or knowledge. Everyone knows how to hold a pencil, so everyone can use this product. Of course, people‘s drawing skills differ, but that is were the erasable and forgiving nature of the dry-erase board comes in. Make it personal: As the vase provides for more than just pick&choose within a predetermined selection, it really allows people to create very personal and unique pieces. No vase will ever look the same as any other. Small Steps: The piece doesn’t require anybody to suddenly draw like an artist. Rather, the user can start with a very simple drawing. But as his confidence and capabilities grow, so can his created product. What is the role of companies in your concept? What would you recommend a manager that wants to place your ideas into practice? In terms of manufacturing, the beauty of these designs is that they do not require any major changes in the manufacturing infrastructure as is usually associated with mass customization. As the customization happens at the end user and not in the factory, the company still only needs to create one fixed product. In terms of management, it probably more comes down to being open-minded and believing in the creativity of end-users. Basically giving the consumer more credit than most companies currently do. At the same time, we of course need to realize that while customization is a major trend, it is still to be seen how much of the mainstream it will become. While especially Generations X and Y are increasingly interested in self-expression and involvement, the majority of consumers still prefers buying non-customizable products and maybe express themselves solely through selected purchases. What did originally motivate your research? How did you choose this topic? As I was researching potential thesis topics, certain personal interests of mine came up repeatedly. These are areas that I have always been fascinated by, like peoples desire to express themselves, peoples urge to create, the growing D.I.Y. movement, and finally new and evolving production methods. At one point, I realized that there might be a way to bring these different areas together, and to use this combination to enable and encourage creativity and self-expression for the consumer. And to simply provide for more joy and fun as part of a product experience. Why do most industrial designers neglect the customization and self-impression trend? Do design schools educate your designers in these new topics? First off, there are of course certain products where customization is not applicable, for example for safety reasons. Besides that, a couple of things come to mind. For one, designing a product that is customizable means giving away some control of the final product. As a designer, you put a lot of time and thought into determining a very particular look, feel, and functionality to create something that addresses a specific need. While most products usually stay as intended when they leave your hands, with customizable pieces you control them only up to a certain degree. This is something not everyone is comfortable with, especially with more visually driven pieces. In addition, there is also a school of thought with some designers that only they should be the ones ‘designing’. After all, that is what they went to school for and spent a lot of time on, learning how to do it right. According to them, the general consumer does not know about designing, and should not be allowed to do so. This whole issue of ‘professional’ versus ‘amateur’ designer, across all areas from web over graphic to industrial design, is something we could easily talk about for hours. I personally do not subscribe to this rather elitist thinking, and believe that there is and always will be a place for both. However, and as in every other profession, we designers need to rethink our roles periodically, and adjust to a changing environment. In terms of design school education, there is obviously an inherent delay of current trends manifesting themselves in the education curriculum. Which is not necessarily a bad thing. I believe the value of design school, besides teaching basics like form and color, is rather in teaching creative thinking. This together with providing the appropriate environment for exploration is the starting point. The rest is really up to the individual student, to investigate and explore different areas, and push his own limits as well as that of design in general. What’s next for you now that you have finished this project? In terms of the ‘Un-readymades’, I am starting to look into potential options of moving some of them out of the prototype stage and into production. Besides that, as I am done with my Industrial Design degree, I am also currently interviewing for a job. Things are still open though, so I guess I should use this opportunity to invite anybody looking for an Industrial Designer to take a look at my resume and portfolio on my website. To conclude: What is, in general and beyond your industry, the greatest mass customization offering ever – either one that is already existing or that you would like to get in the future? (Update of the original posting from Sept 2007 -- now with the project's final result at the end of this post!). Hey, you designers of the world. Treat me nice: I am on the panel of the new Spreadshirt Open Logo competition :-). Coined the Open Logo Project (OLP) 1.6, this is the second time that the company has started a crowdsourcing contest for its new logo. Anyone can submit a draft logo for comment and evaluation by an expert panel, other designers and the Spreadshirt community. Each week during the contest, the top entries will win awards and a place in the overall grand final. The last contest (hosted 1.6 years ago) received over 1000 submissions from more than 600 designers mainly in Germany and France. This time, the entire world shall participate. The contest will run from the 27th August - 14th October. To take part in the contest - with submissions, comments, voting or just lurking - head to http://olp.spreadshirt.net. Every branding textbook, however, will tell you not to change your logo every two (or even 1.6) years. But “…this is not a publicity stunt," said Jana Eggers, Spreadshirt’s new CEO. "We found a tagline that better represents what we do, and now is the right time to change our current logo to support it". 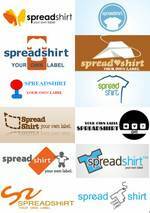 The new tagline, resulting from working with an international branding firm: "Your own label" shall reflect Spreadshirt's mission to be "the world's creative apparel platform". After deciding on the new tagline, the natural step for Spreadshirt was to turn to its community again for a logo that better supports the new tagline. The cool thing: Adam Fletcher, who is coordinating the competition at Spreadshirt, even allowed me to pick my own prize. So: I will award a first price for the most innovative design, one, that really demonstrates uniqueness and out of the box thinking. And this price will be truly innovative and unique as well: You can win an entire mass customized outfit. More on the website! This also allows Spreadshirt to think of those that offer input but can't design (I would be a perfect candidate for this). Anyone who actively contributes to the OLP community by ratings, commenting, offering feedback, starting discussions etc can win one of every shirt that Spreadshirt’s “La Fraise” prints for the next year (should be around 100 shirts – so if you win, buy a new closet). "We [want] to recognize out-of-the-box thinking, collaboration, community favorites and more," adds Adam Fletcher. "Even if you're not the winning designer, you can scoop a number of other prizes, or just waste a lot of your time, learn a lot from looking at the work of the other designers." So, now get your creative fluids working … and submit a nice logo so that I have something to judge next week !! First: The winner: While Spreadshirt selected two first prices for their new logo (see the designs here) and is now working with the community on improving the designs. My personal short list looked a bit different, see it here. Third: Participants of an open innovation project get engaged and personal: The entire competition drew more than 2800 entires, generated millions of hits and views, a lot of postings and good press for Spreadshirt -- and did not cost really too much compared to the cost of getting a professional new logo (and PR campaign) from a regular agency (cost were about 10 K Euro for prices, Adam Fletcher's salary of running the contest, and some web site programming etc ..). The best insight into the enthusiasm and engagement of the participants can be found in the comments to the posts, just browse through some of the winning designs or see the comment on the selection of the winners (example). For me, it was was interesting to read what people really thought about my selections (more comments here). I think I really do not look like a designer or pretend to know much about graphic design -- my task was to provide a business and customization perspective for the panel. But participants expected my real feedback on their designs ... learning_ pick panelists that really know what they are writing about. Fourth: I learned a lot about customized toilets :) See comments in the middle of this stream. A frequent topic in my public lectures is the “open design” project by Ronen Kadushin, an Israeli product designer living in Berlin, Germany. Ronen created this product line to close the creative gap between product design and other fields, such as music, graphic design, animation and photography that are traditionally more connected to political, social and economic flows and issues. Inspired by the Open Source movement, he released the designs under a Creative Commons license, which means that you are allowed to reproduce them for personal use. Each design can be downloaded along with a description and a 'blueprint'. “Industrial design is becoming more and more a toy for rich people … dominated by large names and big companies”, Ronen once explained to me in an interview. Industrial design industry is monopolized by a number of large producers (manufacturing and distributing the designs), focusing on the concepts of less than 150 “famous” industrial designers whose concepts are recognized. All the thousands of other well talented designers are just serving the elite. His intuition was that this system was just producing too much “waste”: Even of the more established designers, only one out of twenty design concepts are becoming products, the rest is just creative waste. As a result, the concept of Open Design was born. 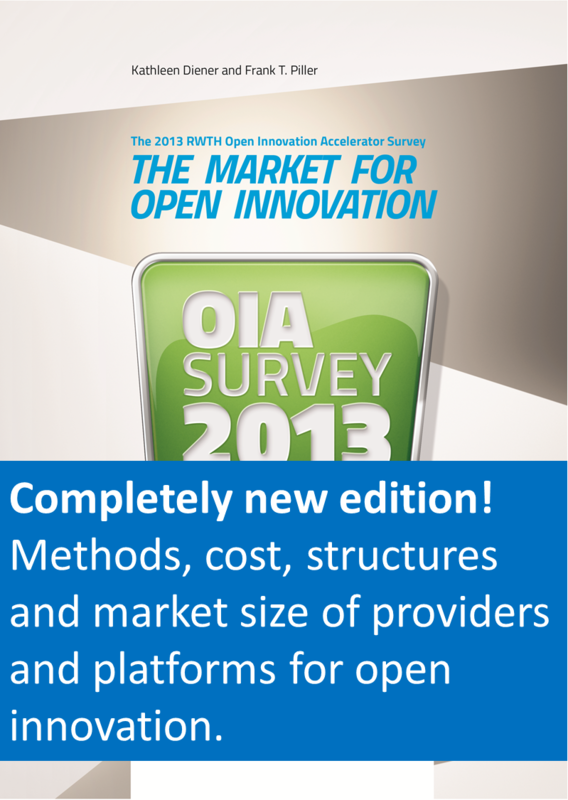 The idea is to find a new logical method how design could be working, using open source software as a working model. His designs are two dimensional "cutout" represented as digital information. It relies on the internet's communication resources, to publish, distribute, and copy the designs under a CreativeCommons deed. Coupled with the flexibility of CNC production methods and their broad availability due to new enablers like emachineshop.com, all technically conforming designs are continuously available for production, in any number, with no tooling investment, anywhere and by anyone. The latest developments and objects of this project will be exhibited in Berlin in a new exhibition in the Gallery “Appel-Design” (Torstrasse 114, 10119 Berlin Mitte) from May 12 to May 20. Meet Ronen during the exhibition’s opening on May 13, 6pm. For more information on the exhibition, click on the picture or go to Ronen’s website http://www.ronen-kadushin.com. Gallery twenty-four just announced an exhibition of new mixed media paintings by US artist Christopher Hauck (April 26– May 10) with the vernisage on May 05, 7-12 p.m. The exhibition is part of the Berlin Biennial 2006. 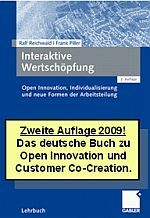 The work of Hauck sounds like a perfect painted expression of a customer of a mass customization offering: on the hand side freedom of choice and co-creation, on the other burden of choice, emotional costs. And more general, of the contrast of following standards for peer-recognition versus the expression of one's self. Influenced by mass customization, on demand programming, user defined desktops, personal digital assistants, global distribution chains, and just in time inventories. All of which force the individual’s identity to the fringe. On one hand reducing our identity to a percentage point in a market share statistic and on the other hand liberating individual identity through mediated and technology defined personas. The works both explore, and beg the question of, where all of this leaves the individual’s identity. Is our identity determined by MAC cosmetics and plastic surgery and kept alive by way of intravenous infusions of reality TV and talk radio? The “me too” persona on slow-drip life support. Or is there a new found freedom of individual identity and global self expression, blogging, podcasting, public authoring, and cyber-dating our way through shifting cultural norms and disintegrating geographic borders all of which afford us multiple and distinct identities?" Read more here. Or visit the exhibition, if you should be in Berlin in the next weeks. Well, I never thought that mass customization may graduate into a form of performance art, but this is exactly what happened with the following article published by PR Newswire, a huge network distributing press releases. Have a look … this is really cool (but do not take it too seriously). SAN FRANCISCO, Sept. 28 /PRNewswire/ -- Following several years of highly- secretive privately-funded research, conceptual artist Jonathon Keats announces comprehensive improvements to the metric system, anticipated finally to make the meter a viable unit of measure in the United States. The system will be introduced to the public at Modernism Gallery, in San Francisco, on October 27, 2005. Mr. Keats will be available to provide expert calibration. "The metric system was developed in the 18th Century as an alternative to measurements based on the dimensions of kings' fingers and feet," explains Mr. Keats. "It was a decisive break from monarchy, but it wasn't decisive enough." The trouble is that one totalitarian system was replaced with another. "We did away with Louis XVI and Henry VIII, only to chain all measures, of everything in the universe, to the circumference of the Earth." More specifically, the standard meter is 1/10,000,000 of the quarter- meridian, redefined by the Conference Generale des Poids et Mesures (CGPM) in 1983 as the distance traveled by light in 1/299,792,458 of a second. What Mr. Keats has proposed is an approach as rigorously mathematical as the metric system, that will prioritize the individual rather than the planet. His modification is simple, yet the consequences are profound: Instead of using the earth's spin as the basis of time, he's elected to use people's heartbeat. [...] Mr. Keats's system makes everyone's clock personal. Because his own heart beats 1.1 times faster than the terrestrial second, for example, his day is a mere 21.816 terrestrial hours long, and his year is nearly 33 days shorter than you'd see on a calendar (except in leap year). From that, it's a straightforward calculation to derive the length of a personal meter, the distance traveled by light in 1/299,792,458 of a heartbeat. Read the full press release here: http://www.prnewswire.com. See also here for an invitation to participate at this event on Oct 27, 2005.